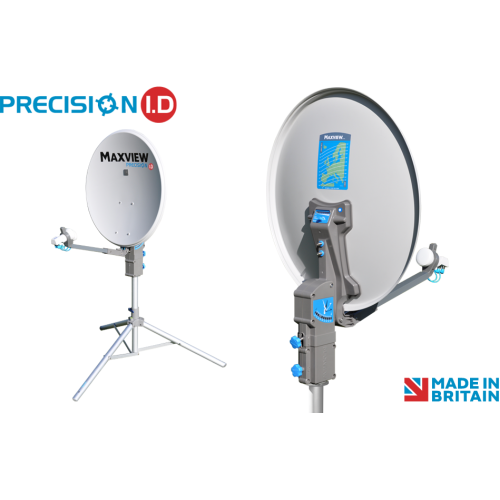 The Maxview Precision I.D. is a tripod mounted manual satellite system used to receive satellite TV and radio channels. The Precision has been designed to simplify the assembly and alignment process for effortless use. The additional LED indicates correct satellite alignment.